- Fluoro Lined for contact with oil and fuel. -Optional 152mm lengths, are made to order. Call or email for quote. -Any part number proceeded with '300' has 300mm long legs. 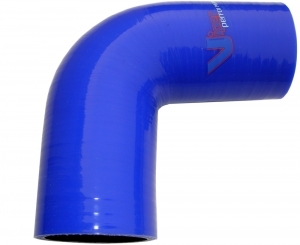 High temperature turbo hoses can be made, fuel and oil resistant hoses can also be produced. 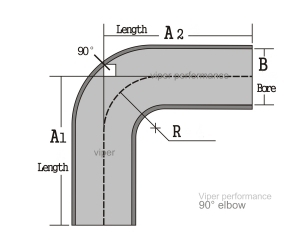 CENTRELINE BEND RADIUS DATA (CLR) Tolerance +/-2 degrees.